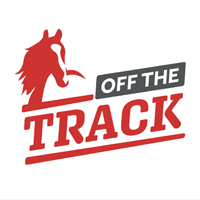 The annual thoroughbred awards night is looming and the big question being asked is can star sprinter Hellova Street hold onto his crown as Tasmanian’s best galloper or will his stablemate Life on the Wire or last season’s Newmarket winner I’m Wesley take over the mantle. 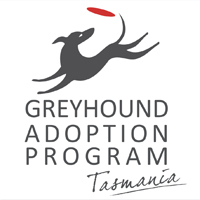 All will be revealed on the night of nights at the Hotel Grand Chancellor in Hobart on 7 September with tickets available from Tasracing. 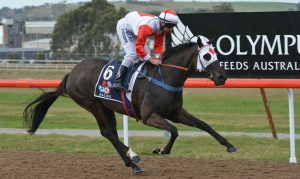 The reigning Horse of the Year Hellova Street, from the Scott Brunton stable, had another stellar season winning both of Tasmania’s feature weight-for-age races during the carnival in the weight-for-age $100,000 Thomas Lyons (1400m) and the $100,000 Mowbray Stakes (WFA) that was for many years known as the George Adams, run over 1600m. Add to that his Group 3 Chatham Stakes win at Flemington and a second in another Group 3 at Sandown that formed part of his impressive three wins and seven minor placings from 10 starts for $359,400 in stakes. I’m Wesley won the $100,000 Newmarket Handicap and he followed up with a win in the $100,000 weight-for-age Conquering Stakes over 1400m defeating Hellova Street by a length and set a new track record of 1.21.55. 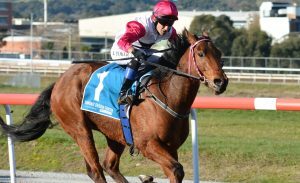 It was his last start in Tasmania for the season which produced six wins in succession with the first four in handicap and benchmark events. I’m Wesley raced in Melbourne where he was placed second at Flemington in the Bob Hoysted Stakes and he then placed second in the Hareeba Stakes at Mornington before ending his campaign in South Australia where he finished a game fourth in the Group 3 D. C McKay Stakes. Life on the Wire had only seven starts last season for five wins that included successive victories at Sandown in Victoria in fillies and mares’ benchmark events before returning home to win the $150,000 Group 3 Vamos Stakes. She ended her season with a brave third at Caulfield behind Sharpness. The 3YO category is a wide open affair with up to seven worthy of votes from the panel of nine judges of which two had to abstain from voting due to a conflict of interest in a couple of the candidates. Mandela Effect captured the imagination of most when he delivered a brilliant performance to win at Caulfield after winning three of his only four starts in Tasmania with his only defeat in a feature race coming at the hands of his stablemate Banca Bet in the 3YO Classic in Launceston. 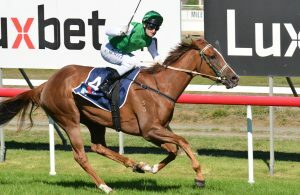 Banca Bet won four of her five starts in Tasmania so she is bound to poll well. Mister Songman won four races including the $50,000 3YO Cup and the $25,000 3YO Trophy before finishing fifth in the Tasmania Guineas and he ended his season with a second to Uber Ed in the $50,000 3YO Classic on Launceston Cup day. Derasa, prepared by Barry Campbell, was unbeaten from three starts in Tasmania that included the 3YO Tony Carrick Vase in Hobart and she produced excellent efforts to finish fourth at Flemington and third at Caulfield at her only two interstate outings. 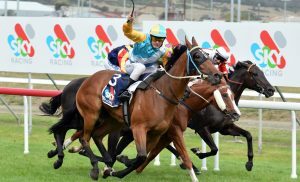 The David Miller-trained Overplay was an impressive winner of the $100,000 Tasmanian Guineas backed up by a creditable fourth in the Hobart Guineas. The John Blacker-trained Double You Tee won a maiden at the end of his campaign but he also was very competitive in feature races including seconds in the Tasmanian and Hobart Guineas. Gee Gee Lanett won the Carbine Club Stakes and benchmark race at the start of her campaign but she was also placed in five feature races against her own age. The 2YO category is more clear-cut with the Adam Trinder-trained Mystic Journey and Tiesto from the Ken and Tanya Hanson stable likely to battle it out for the juvenile crown. Mystic Journey should be favourite given she won the Alexandra Plate and the Alfa Bowl before winning the $100,000 Listed Elwick Stakes on Hobart Cup day. Tiesto only won one race but it was the richest, the $150,000 Gold Sovereign, in which Mystic Journey finished fourth. 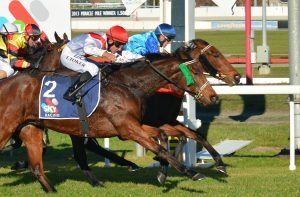 Our Long Sali put herself in contention by winning the $50,000 Magic Millions 2YO Classic defeating Tiesto and she also won an open 2YO handicap and the Autumn Sprint before travelling to South Australia where she finished a game fourth in the SA 2yo Magic Millions.